Additional energy infrastructure is vital to meeting the needs of a growing Centennial Campus. Through spring 2019, several energy grid enhancement projects are underway to create capacity for growth, unparalleled reliability and cost savings. A planned utility outage in spring 2019 is necessary in order to complete this project. This one-day outage will be on Sunday, June 2. Steam and chilled water outage will begin at approximately 5:30 p.m. on Saturday, June 1, and electricity outage will begin at approximately 7:30 a.m. on June 2. All utilities are expected to be restored by 5:30 p.m. on June 2. Town Hall meetings are being held to gather information about the impact of the outage. The meetings are on Wednesday, March 13, 9 – 10 a.m. (Hunt Library – Duke Energy Hall B) and Thursday, March 14, 2 – 3 p.m. (Hunt Library – Duke Energy Hall C). The table below details which buildings will be impacted by the outage. Impacted by campus steam outage? 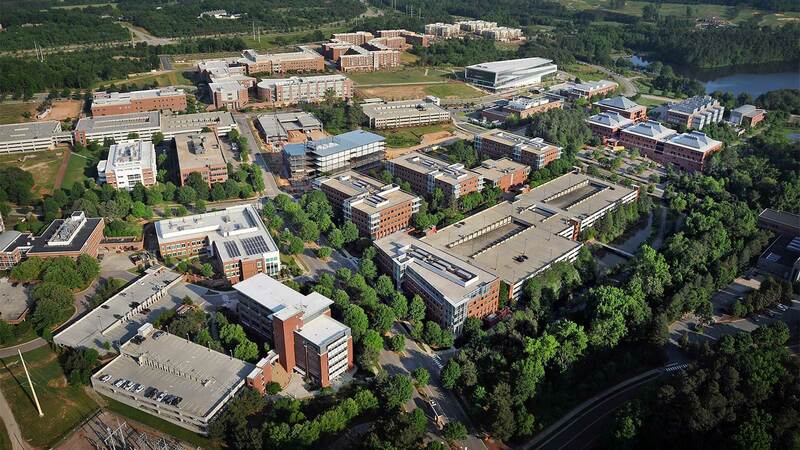 Impacted by campus chilled water outage? 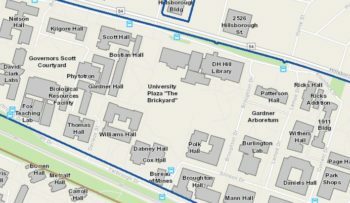 Impacted by campus electricity outage? The energy upgrades on Centennial Campus will include efficiency-boosting technology that will reduce costs while also enhancing reliability and adding capacity. Electrical Circuit and Transformer This improves reliability by distributing energy on multiple circuits, providing redundant power and creating capacity for campus growth. Cogeneration at Central Utility Plant This enables energy generation on campus. By recovering waste heat and converting it to steam, efficiency increases by 40%. Thermal Energy Storage Tank This allows chilled water to be created when electricity is cheapest and stored for use when electricity is most expensive. Thermal Distribution Upgrades This connects additional campus buildings to steam and chilled water supplied by the Central Utility Plant. This creates long-term savings and efficiency.